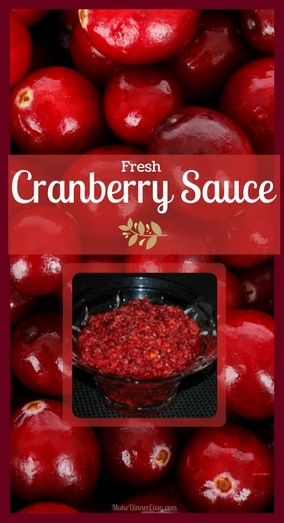 After making this fresh cranberry sauce recipe, I've never made the cooked variety again. I never cared for the canned version, so for years I made the traditional cooked cranberry sauce recipe by following the directions on the back of the bag of fresh berries. While that is good, this recipe is fantastic, and I highly recommend it. 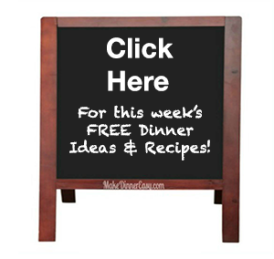 This is an easy dish to prepare several days in advance. I would recommend giving it a stir just before serving. Sort through the cranberries, discarding any that are really soft. Keeping the peel on, slice the orange into eight wedges removing any seeds. 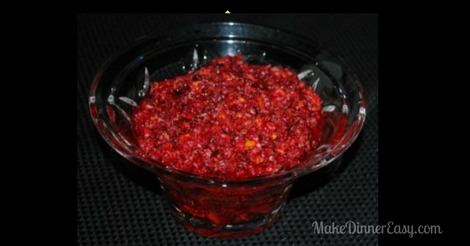 Place half of the cranberries and half of the orange wedges in a food processor. Pulse until ingredients are chopped but not pureed. Transfer the mixture into a mixing bowl. Repeat the chopping process with the other half of the orange wedges and cranberries. Add the sugar and cognac (if you adding this) to the mixture in the mixing bowl and stir. Add additional sugar if desired. Store covered in the refrigerator. Serve with holiday or turkey dinner. Makes 2.5 cups or about 10 servings. 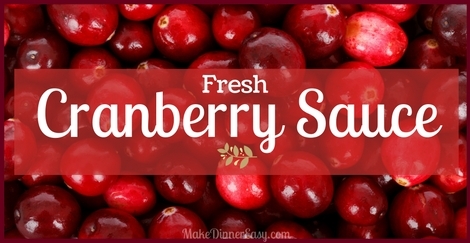 I'd love to hear if cranberry sauce is a popular item on your holiday table. At my house, I eat most of it and don't mind at all if there are leftovers!